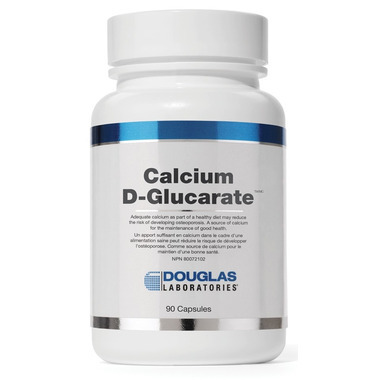 Douglas Laboratories Calcium-D-glucarate is a scientifically researched source of calcium that helps to maintain good health. It is the calcium salt of D-glucaric acid, which is produced in low levels by humans. The adult human body contains approximately 1,200 g of calcium, about 99% of which is present in the skeleton. Bone is constantly turning over in a continuous process of formation and resorption. In children and adolescents, the rate of formation of bone mineral predominates over the rate of resorption. In later life, resorption predominates over formation. Therefore, in normal aging, there is a gradual loss of bone. Adequate calcium throughout life as part of a healthy diet may help prevent bone loss later in life.